Social media training is a great choice for those looking to manage their social profiles in-house. From our HQ in Birmingham city centre or in the comfort of your office, we deliver bespoke social media training for you and your team. Whether you’re just starting out or already have a good understanding, expert training in building your brand and generating leads is a great investment. We create a training programme to suit your needs based on your business, your goals and your existing expertise. We’ve helped dozens of people across Birmingham and the West Midlands take control of their social media presence. Improving your social media expertise will maximise the return on the time and resources you invest. David is JC Social Media’s head of training services. He is incredibly passionate about social media best practices and helping others get the most out of their efforts. 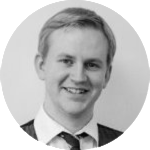 David will liaise with you to ascertain exactly which social media marketing skills you need and create a bespoke training session. David researches your company, its sector, competitors and the target audience to ensure everything you learn will have maximum benefit to your business. Whether you’re looking to launch a new brand, build your online reputation or explore new lead-generation avenues, David is the man to help. Here’s more information about the type of training we provide our clients. We will pick and choose exactly the social media modules you require. We provide bespoke one to one and small group training nationwide and from our HQ, right here in Birmingham. Create a solid grounding in the relevant social platforms to you. We’ll help optimise your profiles to create the best possible first impression before looking at a content and interaction strategy. This may focus on a particular platform or a combination based on your business and goals and will help you manage your own social media presences. LinkedIn is an incredibly powerful tool for building a network and generating leads, especially in B2B businesses. 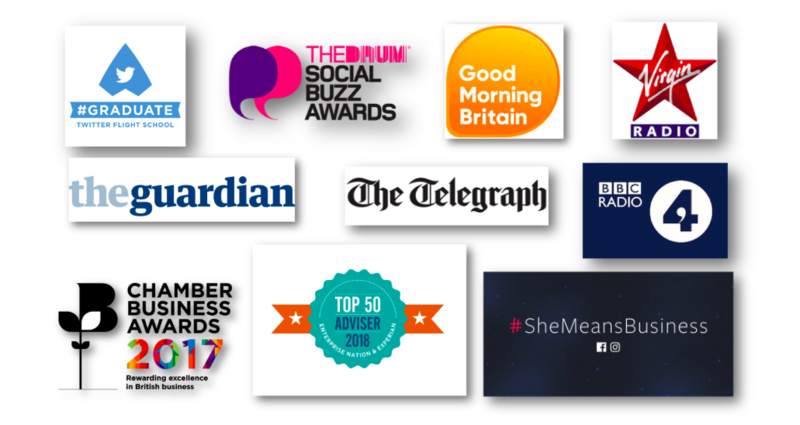 Our LinkedIn training clients include Lloyds Banking Group, Deutsche Bank and British Athletics as well as celebrities, MPs and agents across the globe. We’ll assess your goals and current network and build a strategy as well as studying the functionality of the platform. Sessions can be delivered on a one-to-one or one-to-small group (up to 12) basis and usually take a couple of hours or a half day. We tailor sessions for the beginner, intermediate and advanced individual and groups. More on LinkedIn training. Twitter is the most underused, undervalued and misunderstood social media tool. In fact, only 12% of marketers regard it as their most important social marketing tool although Twitter is widely regarded as the only true social media platform. Our social media training can provide you with an appraisal on your current and potential social presence as well as ideas on content and strategy using the necessary social media platforms. Competitor analysis is also incredibly useful, as is a look at contributing marketing efforts such as blog-writing and email campaigns. Coaching contracts are proving increasingly popular with small businesses. This option represents the best of both worlds; expert social media management from our team whilst transferring the skills you need to take control when you’re ready. This means you have your accounts expertly managed from the word “go” and can learn all the tricks of the trade. Coaching typically consists of an initial training session followed by a combination of management hours and ongoing support on a weekly or monthly basis. The coaching period lasts as long as you require to feel confident you can take your marketing activity in-house. Think you’d rather outsource? Find out more about our social media management services in Birmingham.